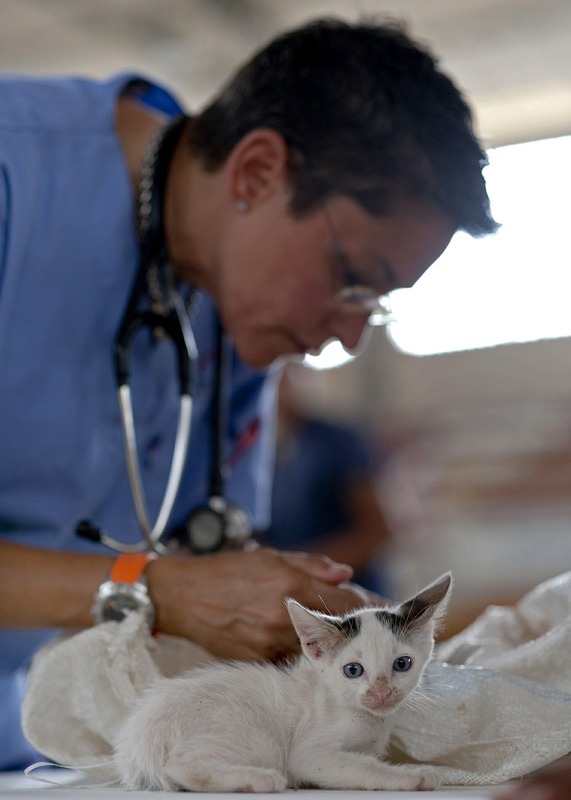 While veterinarians play a key role in keeping pets healthy, they can’t do it alone. There's an entire team dedicated to helping you keep your pets healthy and happy! An important part of that team are our veterinary technicians (vet techs). Vet techs are the lifeblood of any animal hospital—and that’s why the third week of October, known as National Veterinary Technician Week, is dedicated to celebrating them and everything they do for pets and the people who love them. Talk about a jack of all trades! On any given day, veterinary technicians fill the roles of nurse, anesthetist, phlebotomist, radiographer, surgical assistant, dental hygienist, first responder, patient advocate, and more. Being a veterinary technician isn’t all about snuggling puppies and kittens (though that’s definitely a perk!). From long hours on their feet and a high risk of injury or infection to secondary traumatic stress, veterinary technicians have one of the most physically and emotionally demanding occupations around. In addition to providing care for pets in the hospital, an important part of a veterinary technician’s job is to educate and support pet owners so they can keep their pets happy and healthy at home. Navigating age-related changes in an older pet? Not sure how to get started on that weight loss plan? Nervous to give insulin injections? Veterinary technicians are here to counsel, encourage, and coach you every step of the way. They love your pet like their own (really). Don’t be surprised if you find a veterinary technician climbing into a kennel to comfort a dog recovering from surgery or hand-feeding a sick cat who doesn’t want to eat. 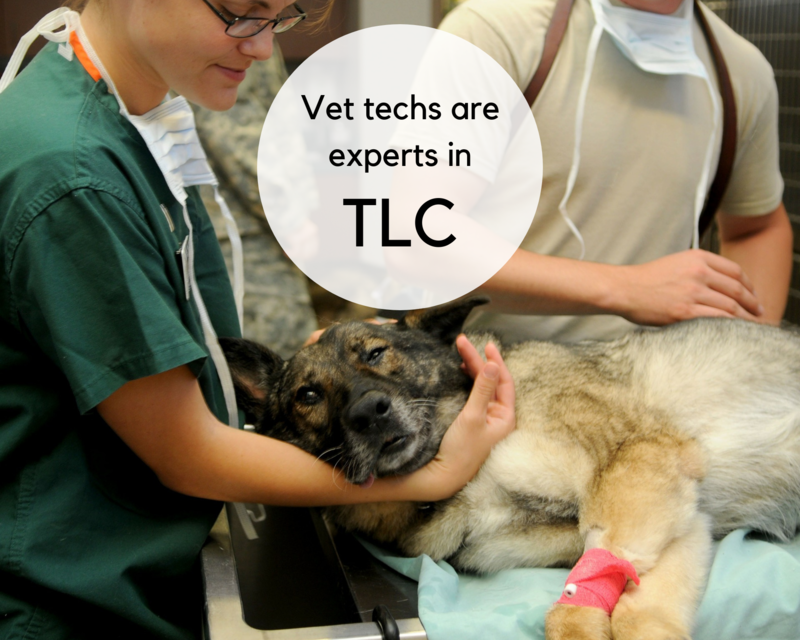 Veterinary technicians are experts in TLC, and they take the responsibility of loving your pet seriously. Feed them. Want to warm a veterinary technician’s heart and belly at the same time? For busy caretakers who may not have had a chance to eat between patients, a thoughtful meal, healthy snack, or even a cup of coffee is a much-appreciated treat. Get to know them. You may not remember your veterinary technician, but they remember you. They know your dog hates low-calorie treats but loves peanut butter, and your cat prefers to be examined in the carrier. Your veterinary technician cares a lot about your pets (and you! ), so take some time to get to know them—and be sure to say hello next time you’re in. Acknowledge them. Go ahead, make their day. Take a moment to express your thanks and let your veterinary technician know how much you and your pets appreciate them with a few heartfelt words or a handwritten note. Haven’t seen your veterinary team in a while? Contact us or schedule an appointment today!